Now Hiring CDL A Drivers Home Daily/ Run 4-5 Days then off 2-3 Days/ Avg Driver Pay $55K-$65K/ Quarterly Bonuses in the Bloomington, CA area! Now Hiring CDL A Drivers Home Daily/ Run 4-5 Days then off 2-3 Days/ Avg Driver Pay $55K-$65K/ Quarterly Bonuses in the East Windsor, CT area! Now Hiring CDL A Drivers Home Daily/ Run 4-5 Days then off 2-3 Days/ Avg Driver Pay $55K-$65K/ Quarterly Bonuses in the Hartford & New Haven, CT area! Now Hiring CDL A Drivers Home Daily/ Run 4-5 Days then off 2-3 Days/ Avg Driver Pay $55K-$65K/ Quarterly Bonuses in the Cottontown, TN area! Now Hiring CDL A Drivers Home Daily/ Run 4-5 Days then off 2-3 Days/ Avg Driver Pay $55K-$65K/ Quarterly Bonuses in the West Hollywood, CA area! Now Hiring CDL A Drivers Home Daily/ Run 4-5 Days then off 2-3 Days/ Avg Driver Pay $55K-$65K/ Quarterly Bonuses in the Perris, CA area! Now Hiring CDL A Drivers Home Daily/ Run 4-5 Days then off 2-3 Days/ Avg Driver Pay $55K-$65K/ Quarterly Bonuses in the Pomona, CA area! Now Hiring CDL A Drivers Home Daily/ Run 4-5 Days then off 2-3 Days/ Avg Driver Pay $55K-$65K/ Quarterly Bonuses in the Yucaipa, CA area! Now Hiring CDL A Drivers Home Daily/ Run 4-5 Days then off 2-3 Days/ Avg Driver Pay $55K-$65K/ Quarterly Bonuses in the North Franklin, CT area! Now Hiring CDL A Drivers Home Daily/ Run 4-5 Days then off 2-3 Days/ Avg Driver Pay $55K-$65K/ Quarterly Bonuses in the Buena Park, CA area! Only 27% Turn Over while Industry Turnover is 98%. We are a 100% online used car dealership. We are HQ in Tempe, AZ. We have 5 Inspection Centers in Tolleson, AZ; Blue Mound, TX; Winder, GA; Delanco, NJ, and Indianapolis, IN. Our drivers assist in moving the cars between these centers and our delivery hubs. Outside of these 5 inspection centers. we also have locations that require class A CDL drivers in Newark, CA;Hartford, CT; Kansas City, KS; Montclair, CA; Denver, CO; Albuquerque, NM; Lebanon, TN; Columbus, OH; Birmingham. AL; Orlando, FL; Burlington, NC e are building the largest internal auto transport organization in the country. Our logistics team literally drives the first leg of an extraordinatary customer service experience. Drive a Freighliner Daycabwhile hauling a brand new Cottrell NextGen Quickloader Car Hasuler. All equipment is less than 3 years old. 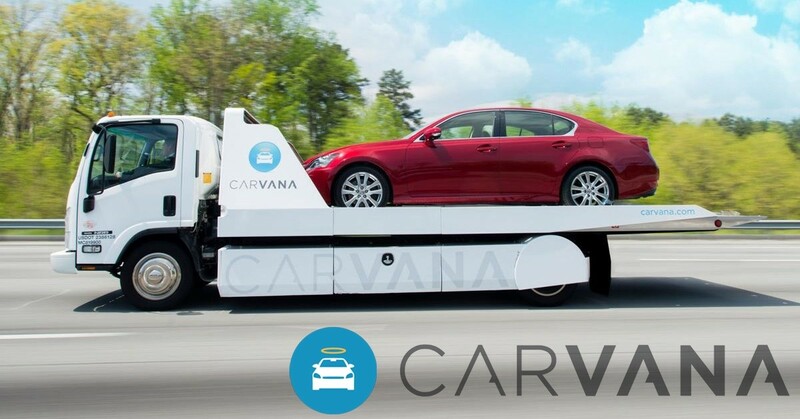 Drivers at Carvana love working for us. Our average turnover is 27% compared to the industry average of 98%. So we do a pretty amazing job of taking care of our drivers. 1930 W Rio Salado Pkwy.